Are you wondering how you are going to get through this life-changing thing called divorce? Do you feel like everything in your life is out of control? Are you concerned about how to minimize the impact on your children? These webinars are designed to bring you some peace of mind and confidence that you can get through this! Space is limited - Register now and we will send you links to bonus giveaways as they become available! Please check your inbox to verify your email and get you in the webinars! 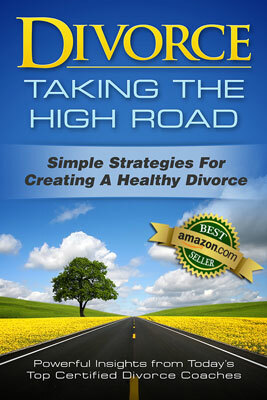 Simple Strategies for Creating a Healthy Divorce. and Authors of the Amazon Best Seller Book – each of whom brings a wealth of experience to the questions you may be asking yourself about how you are going to not only survive, but also thrive during this process. You will surprise yourself with the many ways you are going to discover new strengths and greater resolve to be at your best throughout the process of divorce. directly to our highly qualified experts: Collaborative Attorney, Mediator, and Educator/Trainer – all now Certified Divorce Coaches – covering important how-to’s designed to help you take the high road and thrive through the divorce process. One third of each session is open to your questions and concerns – on the spot support for helping you with what matters most to you. Just what your resilient spirit needs! Live Webinar Series – Monday, March 6 through Saturday, March 11.